Its time to start – so the first question is where to begin…right? Well, we have found that sitting down, talking to one another and working through goals and a budget are the place to start. But in the immediate future we encourage you to think about something that returns a huge return on investment – couponing! Okay – so you are potentially intrigued, excited, or hopeful but skeptical! At least these were the emotions that both of us felt when we were introduced to couponing! You recognize that it is saving others TONS of money – but what is involved? 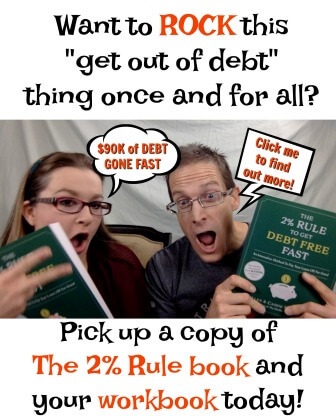 Well you may feel like you have a steep learning curve to be able to be a super saver, like those you have heard of and seen, this is not the case! It is easy to do, you just need to learn the quick tricks, use the free websites and you are set! We will walk you through the steps in an introduction below. We do want to start out by saying that this is ONE method of couponing. 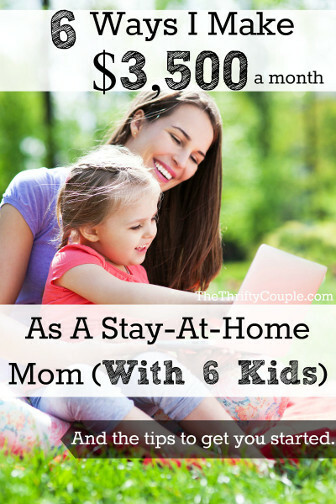 It is a method that we love as it takes little time, but yields MASSIVE savings! In fact, it is soooo easy, a guy can do it too (to see a photo of Thrifty Al’s first trip ALONE – click here)! However, there are many other methods that are just as effective. The important thing to note is that you are doing what works best for you. With the brief introduction here, we will not be able to cover all we like to teach in the FREE Money-Saving Classes, but hopefully give you enough to get you started. The fastest way to learn is to dive in!! 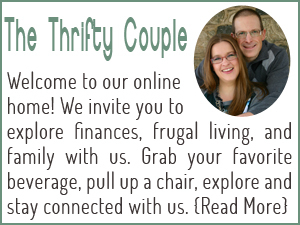 We feel that the first and essential part of becoming “thrifty” is to start with your current grocery shopping habits. If you can start there and change that – everything else and every other area of life will yield it “thriftiness” along with our helpful tips from this website! By starting with the grocery budget and shopping, most people can plan to cut their budgets by 50% or more. We average 65% savings every single week – and in our case, we are eating healthier and with much more variety than before when we were spending so much more!!! Here is what you do to get you started on your quest to save money! 1. Buy in Bulk When A Item Goes On Sale! There is no need for a “club” membership here and warehouse grocery shopping! This is not the kind of bulk shopping that will save you money in the long run. Instead, when an item that your family normally buys goes on sale, you want to buy a lot of it! A lot of it is defined as enough to last you and your family for 3-4 months. Why?! The reason is that there is a pattern as to when the manufacturers place their items on sale; it occurs about every 3-4 months. So, if you have bought enough items to get you through to the next sale, you are never going to pay full price for anything! Over time, shopping this way, you will build a massive food storage filled with a variety of items and then you can begin “shopping” from your pantry. This is when and where your savings really add up as you are just going to the store to “stock up” on the really good deals, and then buying everything perishable that you need that week. 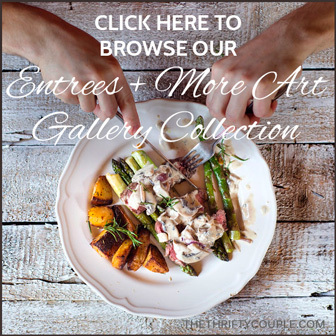 You will be doing your meal planning from home instead of “menu shopping” every week! How do you know how much to buy to last for the 3-4 months until the next time that item goes on sale? This amount will be different for every family as we all consume at different rates. We are a family of six, we will be consuming faster than a family of 4! Keep reading as this answer will be found in trick #3! 2. Maximize Your Coupons By Only Using Them When An Item Goes On Sale! You can use coupons on sale priced items! Take advantage of the extra savings. This is important because if you use a coupon on a regular priced item, you really aren’t saving that much money. Most of the time, the generic prices are still cheaper than the name brand with the coupons! As an example, we are going to demonstrate with one of our favorite oatmeals – Quaker Simple Harvest Oatmeal. For us to buy this oatmeal today off the shelf, it would be $4.29 per box. There was a coupon that came out in the Sunday paper taking $1.00 off – all of the sudden this makes it $3.29 a box. However, this is still a terrible deal (in our opinion) because as we took a moment to compare the products on the shelf, we noticed that the generic was only $1.99 – a lot cheaper than the name brand with the coupon. However, when we waited for the item to go on sale, it was on sale for $1.00 (these are the types of sales on products that occur 2-4 times per year). Now, when we used our $1.00 off coupon – on this sale priced oatmeal – it made it FREE! How many can you get for FREE? Well in this case, we got six (6) for FREE. How?!! Well this is where the 3rd trick comes in! 3. Buy Multiple Sunday Newspaper Subscriptions. The more papers you have the more coupons you get. The more coupons you get, the more money you save! The savings are exponential! How many should each household have? It is recommended that each household have enough newspaper subscriptions to equal the number of persons in their household (including babies). The reason why is simple – we are a family of six (6) – we get six (6) newspapers subscriptions. We have to have this number to keep up with our consumption – otherwise, if we do not have enough of something to last us until it goes on the great “once every 3-4 month” sale, we will have to go buy it! If we are lucky, we may get the item on sale, but not near the same deal we got it at during the great “once every 3-4 month” sale. This will always be affecting your bottom line! You want to keep up with your consumption so that you have the opportunity to save the maximum that you can save! If you are always running short on items, your money will too! Q. Is the newspaper the only place where you can get coupons? A. No – There are actually several places to get coupons. However, the ones in your newspaper will become of very high value to you to have. Many newspapers have the Smart Source Inserts, Red Plum Insert and Procter and Gamble Insert. A large portion of your couponing will come from these sources. – ECoupons are another source that many stores are moving towards. These are coupons that are downloaded onto your shoppers savings cards at many popular grocery stores. – In The Stores – in the forms of peelies (coupons on packages to use when you buy them there), tear pads (a.k.a. blinkies) which are the little boxes on the aisles with coupons in them, and the Catalinas – which are coupons the print at the registers. – In The Mail – Keep an eye out for coupons that come in your mail – especially the RedPlum packet. – In Magazines – many brand name product ads in the magazines will have a coupon. The most popular magazine to carry HIGH value coupons is the All You magazine. Each monthly issue carries close to $100 in coupons and tend to be a higher value than other sources. We have even found coupons for FREE items quite frequently. Now What? We showed you the tricks to get ready to shop – how do you apply them. The next steps are to follow the grocery and drugstore matchups that you can find on our site and the deals that you find in the posts we provide on a daily basis. We will show you deals as we find them. We will be sharing posts soon on how to organize and shop (with kids) step-by-step! Thanks and Have Fun Saving A Ton! I went to all three of the suggested coupon sites you gave. They all required a java download to print the coupons. It failed to download. Also, I do not want to fill out all the suggested surveys, and do not want extra spam emails sent to me. How can I avoid all this and still get some coupons on line. Hi I am sooo very interested in all your tips I am a mom of three and just re located from out of the country and neeeed to save and be a savey mommy or as you would say thrify… please help. I have signed up and look forward to learning. thank you. So I’m confused? About the one coupon per purchase but limit 4 does that mean you have to have 4coupons just like the one your using or just that one. Also how many coupons can you use at a time with different deals. Example cereal 4.00 with a 1.50 and .50. And 75 can I use all those on the cereal. I’m so lost as to how to use the coupons I’ve never used one before. But I’ve got three subscriptions cut and into a binder and now I’m stuck please help? Hi there. I am in New York State. You say to “only” use coupons if an item is on sale. Well what happens when live in an area that your coupons expire every 4-5 weeks? I personally can’t sit on coupons and wait for a sale because before I know it the coupon is no good and I end up throwing them out. So that’s a lose, lose. Also do you suggest clipping coupons and filing them or do you think writing the date on the coupon packet and store it away? Also do you know the site that matches the store in your area to the coupons available? For example: I use Price Chopper to shop and this site links up if there is a sale and in what coupon flyer a coupon is in. I used to have it but lost it when my computer crashed…I lost all my great site links = ( Thank you! place to update my email. Please notify me if it is not. Thnk You. join a large firm and work for up to date. How can I get rid of briers? My name is Clifford Snyder. We met at a homeschool conference last year in Redmond, WA. My wife (Lilibeth) and I have been blessed with 6 precious children (Faithjoy, Lovejoy, Kenneth, Kevin, Kyle & Gracejoy). I enjoy your site, and have found other helpful sites through it. Thank you for your service and help. I have a question concerning curriculum. Recently I found a couple of sites (HomeSchoolMom.com & notebookingpages). I am not familiar with notebooking as a method of teaching our children but it looked encouraging and the price for a lifetime membership sounded very reasonable as an investment in our family. Are you familiar with these sites? What are your thoughts on notebooking and have you tried it? Please pray for us as we continue to adjust, re-adjust, etc. Thank you for any wisdom you can send our way. Take care and keep on fighting (1Cor 9:25-27)! Clifford, Lilibeth, Lovejoy, Kenneth, Kevin, Kyle & Gracejoy too!!!!!! No, I did not forget Faithjoy, she & Zach joined together as one in the Lord last June and now have begun a new household. Please pray for them as they are expecting a new arrival in July. It is our first grandchild! HI Clifford, Lilibeth and family! Thank you for reaching out! It’s always a joy and a blessing to hear from those we have met in person! What an exciting time with a new grandbaby coming! We love babies!! As far as the notebooking, I honestly am not super familiar with this method officially. I say that, but I think that what my mom did when she homeschooled us was a form of the official notebooking method as it looks and sounds familiar. However, since I finished my homeschool 20 years ago…I just can’t remember. I will try to remember to ask my mom. For our kids, we haven’t done official notebooking through a program, although we have followed similar concepts in our subjects. My oldest also just turned 13, so we have been doing lapbooks (which I thought was silly for many years and then I finally bought a subject that used lapbooking and we had a blast with it).